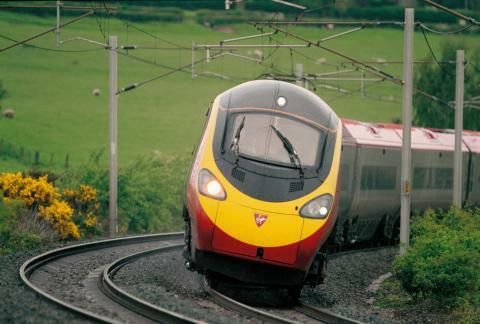 Businesses are set to benefit from a new collaboration between Virgin Trains and Eurostar which creates an end to end rail booking service between major routes and mainland Europe. In the first partnership of its kind between Eurostar and a UK train operating company, the initiative offers a “one-stop shop” service targeting the Meetings, Incentives, Conferencing and Exhibitions (MICE) market, removing the logistics of having to book separate journeys. This will enable customers to book a through-fare with Virgin or Eurostar from destinations such as Manchester, Liverpool and Birmingham to Paris, Lille and Brussels. The service also gives organisations and planners the ability to change or transfer tickets between delegates and to book out entire train carriages for events at discounted travel rates. Groups can choose from Standard or First Class exclusive carriages or a combination of both, including personal branding as well as a variety of catering options. 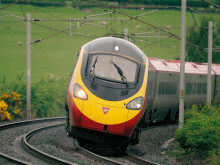 VIP hosts will guide customers to and from St Pancras on the Virgin Trains leg of the journey. Customers can now book the entire trip directly through either the Virgin Trains Red Carpet team or Eurostar’s groups team. There is also an option to book a variety of unique experiences on board Eurostar, tailored for the event or destination, with activities including cheese and wine tasting, discovering artesian history and art classes. The partnership has already been positively welcomed by European business travellers in Barcelona as it was officially unveiled (27 November) at IBTM World exhibition, with Visit Britain encouraging the overseas market to take advantage of the service. Head of Offline Channels for Virgin Trains, Adrienne Nankivell, said: “This partnership provides the ideal solution for the business traveller searching for the best way to travel between destinations in the United Kingdom and mainland Europe.By creating a “one-stop shop” booking service we are able to offer a convenient way to travel for large groups who want an excellent customer experience. VisitBritain’s Head of Business Events Kerrin MacPhie said: “We are excited to be part of a collaboration to drive growth to more destinations across the UK for the international MICE market, giving event planners and their delegates the chance to easily explore our wider business events offer.